Decleor’s holistic approach to beauty gives you the ultimate aromatherapy experience, using the purest plant extracts and essential oils. For more than 40 years Decleor has been trusted by the worlds best beauty professionals, offering unique specialist products and treatments to deliver the most amazing skincare results and professional care. 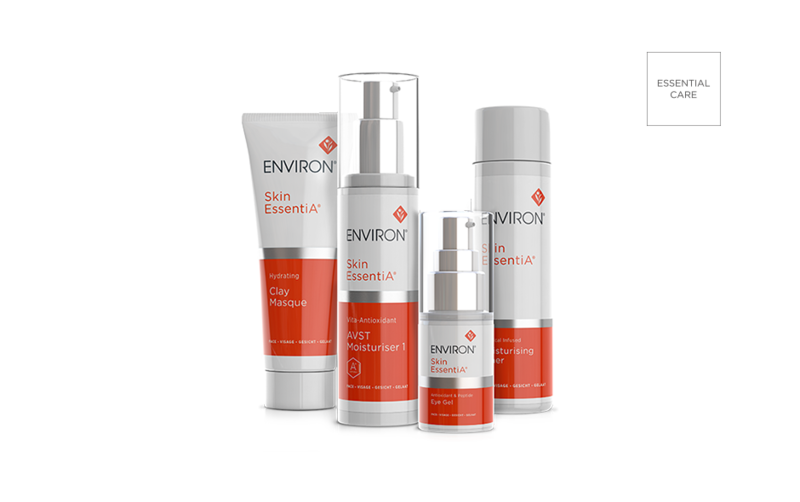 Environ is one of the worlds leading professional skincare brands with the unique step up system to customise your facials and skincare routines. These relaxing electrical facials enhance the penetration of active ingredients into the deeper layers of the skin to rejuvenate and prevent ageing of the skin. Vitamin A is the only known vitamin to repair cell DNA ensuring noticable results after just one treatment! Jane Iredale uses only the highest quality ingredients available. It was the first full makeup line on the market to not just offer colour enhancement but also skin care benefits. The makeup range is based on micronized minerals and is made without fillers and binders (such as talc and mineral oil) and without chemical dyes or preservatives. As a result Jane Iredale products are used by salons and spas and medical clinics throughout the world. Fake Bake self- tanning products contains naturally derived, premium tanning agents. This tan gives your skin an instant sun- kissed look with a cosmetic guide colour, this is simply cosmetic and washes off to reveal a gorgeous Fake Bake tan. OPI is recognized as the worlds leading manufacturer of professional hand, foot and nail care products. OPI offers the latest techniques combined with the finest ingredients for outstanding long lasting results. Our highly trained and experienced staff are on hand to answer any questions you might have about skincare or suitable home care products.